Senate Bill 613, also known as the Second Amendment Preservation Act, would make it a misdemeanor for federal officers to enforce federal gun-control measures within Missouri's borders if those measures are found to violate Missourians' right to "keep and bear arms." The bill passed 23-10 mostly along party lines; state Sen. Box Dixon of Springfield was the only Republican who joined Democrats in voting "no." It's now in the hands of the Missouri House, where Speaker Tim Jones, R-Eureka, says he hasn't been paying attention to the bill's progress. "I've been focused on jobs, creating a good business climate for jobs this year," Jones said. "We'll continue to remain steadfast in the values Missourians hold dear." Jones told reporters Thursday he has no preference whether it's a House or Senate bill, as long as the nullification measure makes it back to Gov. Jay Nixon's desk. Missouri lawmakers have been pushing back against Washington, D.C., for years. 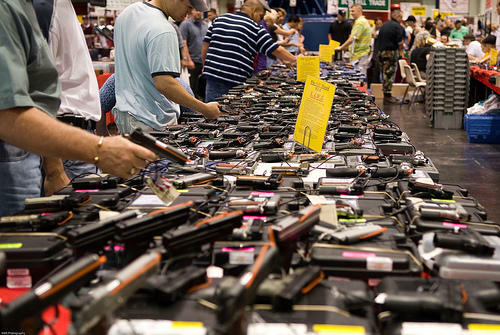 The pushback against gun control intensified, though, during Missouri's 2013 regular session. It began a few weeks after the massacre at Sandy Hook Elementary School in Newtown, Conn., in which 20 children and six staff members were shot to death. A month after the shootings, President Barack Obama signed 23 executive orders related to gun control and unveiled a proposal to Congress that included a new assault weapons ban, universal background checks for gun purchases, and banning magazines that hold more than 10 bullets. Those actions motivated Republicans in the Missouri House and Senate to file several bills that would lead to last year's version of the Second Amendment Preservation Act, also known as House Bill 436. A brief summary of that bill can be found here. Gov. Jay Nixon, a Democrat, vetoed it, stating that it would have violated the supremacy clause of the U.S. Constitution, and that it would have also violated free speech rights because of language making it a crime to publish the name of a gun owner. The governor's veto was overridden in the Missouri House 109-49, the bare two-thirds minimum required, but the override vote fell short in the Missouri Senate, as President Pro-tem Tom Dempsey, R-St. Charles, and Majority Floor Leader Ron Richard, R-Joplin, joined Democrats in voting "no." Afterwards, Dempsey and Richard released a joint statement detailing their reasons for not supporting the override effort. This year's Senate bill does not contain last year's language that criminalized the publication of a gun owner's name. It includes new proposed restrictions, such as barring medical personnel from documenting or asking patients if they are gun owners; and it bars people in the United States illegally from possessing firearms. Like last year's bill, it would lower the conceal-carry age from 21 to 19, and it would allow school districts to designate one or more staff as school protection officers who would be authorized to carry firearms. This year's version would also give school protection officers the option of using pepper spray instead of a gun. For a few days, the Senate nullification bill also included an amendment that would have created a 72-hour period for gun owners to notify authorities if someone stole their weapons. The National Rifle Association's Institute for Legislative Action announced its opposition to the language, claiming it would have created a "de facto gun owner registry" in Missouri. 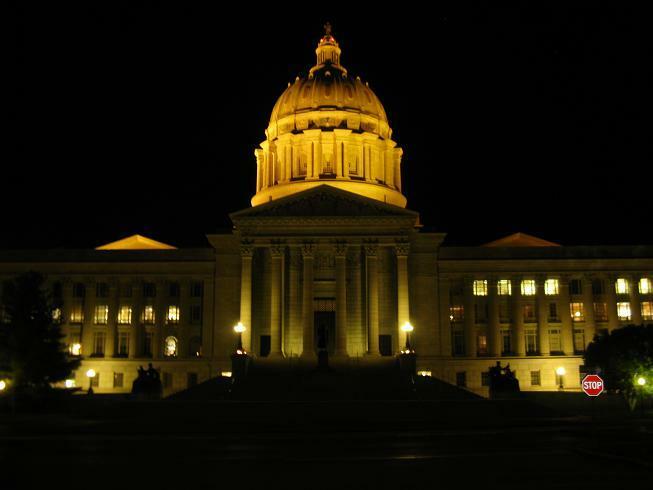 The Missouri Senate stripped the amendment off the bill Monday. The House version of the proposal is also moving forward. House Bill 1439 was passed Thursday by the General Laws Committee and now goes to the Rules Committee, after which it would move to the House floor for debate. It's sponsored by state Rep. Doug Funderburk, R-St. Charles, who also sponsored last year's bill that was eventually vetoed. His bill differs from the Senate version in that it also makes it a misdemeanor for a federal officer to serve a warrant without a local sheriff's deputy present, it currently would not give school protection officers the option of using pepper spray instead of a gun, and it does not contain language barring illegal immigrants from possessing firearms. The Senate version is sponsored by Sen. Brian Nieves, R-Washington, Mo.